If so, you can make money as an online teacher regardless of what you can teach! Udemy is one of the biggest platforms where instructors can get paid to teach English, Math, Technology, Science, even making money as a YouTuber. Udemy is a teaching platform where anyone can create courses and sell them to students. The site was introduced in 2010. It has since become one of the most popular educational sites where you can learn almost anything you can think of. As an “instructor” you create courses on the topic of your choice, set the price. Interested students pay to access the material. The beauty of using this platform for students is that they can access the material anytime and from anywhere in the world. This is unlike traditional classes. It gives students the kind of schedule flexibility that in today’s busy world is very important. And for a teacher, it’s an opportunity to make a semi-passive income. With traditional teaching, even online, you have to continuously work with students to get paid. You see, you create and upload the course once, but you keep getting paid for it (every time a new student enrolls). That’s as close as you can get to passive income. Sure, you may have to spend some time promoting it on social media and other platforms, but the actual work of teaching is done once which is when you create the course. As far as how much you can charge for your courses, it really depends. Average course price seems to be between $29 to $99. You keep 70% of the revenue from your courses (or 85% if you directly refer the customer to the course). However, each of these categories has many subcategories that break it down even further. You really can teach anything here. And that’s what makes Udemy special – no matter what subject you are an expert on, you can teach it and make money. How much can an instructor make on Udemy? Obviously, the exact number depends on your course, how good it is and how good you are at promoting it. That said, from the reviews I have read during my research, you can earn, on average, between $10 to $30 per hour. That’s based on the average price of between $29 to $99 per course. Most instructors make on average $7000 per year. There are people who make 6 figure incomes. 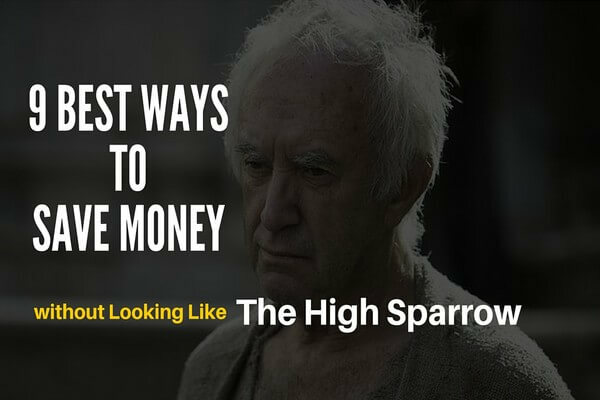 Of course, not everybody is going to make that kind of money. But the point is the potential is there. You can make good money teaching on Udemy. 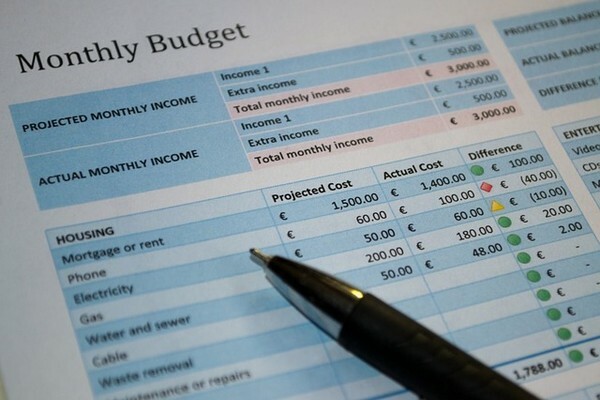 Do I have to pay taxes on my Udsemy earnings? As an instructor you are an independent contractor and not an employee of Udemy, thus you are responsible for your own taxes. If you make over $600 per year, you will receive a 1099 Tax form. There is really not much to it. Step 2: Choose a topic and create your course. Step 3: Connect with students and start making money. Of course, each step requires some work. There is a simple 4 step process that you can use to quickly create your very first Udmey course. Creating your course is the easy part. The hardest part is promoting it. You can have the best course on the planet, but if nobody knows about it, you won’t make a dime! You have to let students know it exists. Through traditional and modern advertising strategies. Maybe you don’t have a large following, which is fine, but you can still use social media to help promote your course. You can use Facebook, Twitter, G+ contacts, Pinterest, Linkedin and whatever social media outlet you utilize in order to get the word out about what you are offering. Providing special discounts and promo codes! The site actually makes it easy for instructors to create promo code and special discounts. All you have to do is create one and let people know about it. Pro tip: Make a Pinterest and Facebook page just for your course. Not only it will make it easier for potential students to find you, you may also rank for terms associated with your course on Google which will bring in organic traffic to your course. Forums, especially forums related to the kind of topic you are teaching are great places to get the word out. Become an active member of a few related forums and start posting helpful comments. Don’t just blatantly spam them by just posting links to your course. Add value to the discussion by posting relevant and helpful information. Cement yourself as an expert on the topic you are teaching. When people start to trust you as an expert in your field, they are much more likely to want to pay for your expertise. To do that, you have to give some free information. That’s why companies give out freebies and samples. It shows costumers what they can get if they buy from the company. Also, most forums allow you to create a signature (that shows under your posts every time you comment on the forum), where you can place a link to your course. It’s basically a billboard for you to promote whatever you want. Another way to get attention is by contributing to blogs about the subject you’re teaching. Created a course about Gardening in the Midwest? Search on Google to find blogs that talk about gardening in general and more specifically gardening in the Midwest. Ask them if they accept guest posts. If they do, create an awesome guide that will teach their readers about gardening. Of course, you don’t want to give away your whole course for free here. you want to give them just enough that shows you are an expert and know that you’re talking about. The idea is to generate enough interest that some of those readers will become paying student of your course. Make a YouTube channel about the subject of your course and create educational videos that teach people about the subject. Again, just give enough stuff so you can hopefully entice some of your YouTube subscribers to enroll in your paid course. Reddit is a goldmine for entrepreneurs, including teacher entrepreneurs. What makes Reddit is a great place to promote your course is its (many thousands of) subreddits. Subreddits are like mini forums within the main forum. There are subreddits on just about anything you can think of. All you have to do is search for “Gardening” on Reddit and you will find subreddits that are focused on gardening. So, don’t just join a subreddit and start blasting the link to your course everywhere. Just like with forums, establish yourself as an authority on your subject by posting helpful comments and answering questions with detailed information. Once the community sees you as a trusted authority, you can post your link here and there. 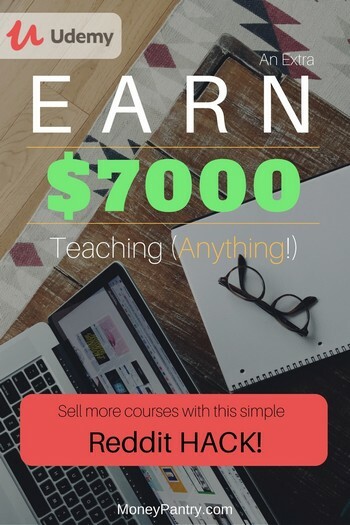 … if your course is a quality course that students love, Redditors will start promoting your course on their own. Redditors have a reputation for sharing the good stuff they find. And if your course is really really good, your link may even show on the homepage of Reddit. If you hit the homepage, you will have more students enrolling in your course than you ever thought possible. Keep in mind though, hitting the homepage of Reddit, especially for something you are selling, is extremely unlikely, so don’t bank on it. That said, those subreddits alone will be some of the best places to find paying students for your courses, so do not take it lightly. Now, this is for those of you who have the money to spend on ads. I personally don’t recommend you doing this, at least initially. If you are trying to make some extra cash on the side by creating and selling courses, then just skip this one. There are plenty of ways to promote your course that won’t cost you a penny. But if you do have the money and are wanting to put this thing in high gear, by all means, go for it. Now, depending on the platform you choose to advertise on, there is a learning curve, but that’s beyond the scope of this post. Make sure to start small and test your way up. You don’t want to spend $1000 on your first day of Facebook ads without knowing what you’re really doing. That’s how you lose money instead of making it. The bottom line is that you can make money through Udemy. Whether it is a second income or a full-time job, is up to you. The best thing I personally like about making money with sites like Udemy is the fact that these can become a source of passive income. You develop the course once and upload it, but you continue to earn money from it. With every newly enrolled student, you make more money. If you are already making money on Udmey, what’s your review, how do you rate it?